The fields of entrepreneurship, innovation and regional development are inextricably linked, with people, organisations, and the environment or their location, forming the main building blocks in an integrated model of value creation. This second edition of a key textbook draws on the diversity of approaches in these areas to produce a unified understanding of this important subject and its sub-sets. The author connects theory and practice using references to academic studies as well as industry sources. The importance of technology is highlighted throughout to demonstrate the value of new technology-based ventures and the role of technology for innovation in both organisational and spatial contexts. 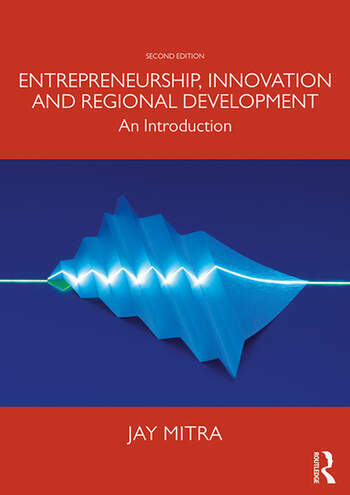 The economic and social contexts of entrepreneurship are covered in dedicated chapters offering an appreciation of multiple perspectives on key themes of growth and development. Drawing on insights and concepts from a wide range of disciplines such as business, sociology, economics, geography and management, this unique textbook introduces entrepreneurship to students from different backgrounds and varied interests. With a range of new case studies and coverage of emerging themes such as smart cities, ecosystems, female entrepreneurship, and social and human capital, this book provides an expert exposition of the elaborate empire of entrepreneurship. Jay Mitra is Professor of Business Enterprise and Innovation at the University of Essex, UK. He is also a Visiting Professor at Universität Lüneburg, Germany and the Dangote Business School, Bavero University, Nigeria. He also leads the International Entrepreneurship Forum (IEF).